My husband for quite awhile now kept telling me you know we need to get a food scale so we can measure the food properly. He said that the cup size for things such as fruit & vegetables was actually more weight size then the measuring cup size. I was like ‘huh’? What are you talking about it? 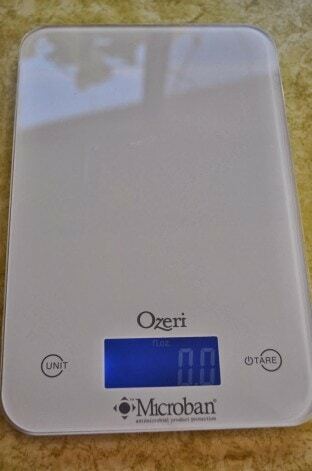 He was super excited, more then me, when I picked to review the Ozeri Digital Kitchen Scale. We have been using it a lot since I received it, but for some reason I have been having a hard time coming up for the review for it. What could I say about a food scale? It weighs food, end of story. So even though we have been loving the Ozeri Digital Kitchen Scale and using it quite a bit, the lack of words for this one was throwing me for a loop. The Ozeri Digital Kitchen Scale is perfect if you are counting your calories and need to measure your food quantities to log them. The scale measures in fluid, grams, ounces, pounds and even milliliter. It makes it easy to measure by having a tare button. Just put the bowl or cup you want to measure the item(s) on the scale and then hit the tare button on the right side, it’ll automatically subtract the weight of the bowl or plate to determine the net weight of the ingredients being weighed. This scale is so easy to use and so lightweight. It has a microban antimicrobial protection on the surface, so you don’t have to worry much about germs collecting on the scale. It runsi on 2 lithium batteries, which are included, has a low battery indicator on the screen and even shuts off after 2 minutes of inactivity to save on battery life! It’s such a lifesaver in the kitchen, and it even helps you measure things that you might need to mail. With a helpful guide in the back of the book to give you current rates as of 2012. 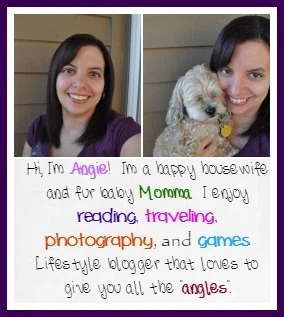 All About Me Friday – What’s that in your purse? Disney Classic Box Set – Release Date November 12th, pre-order now!